April 12th, 2017 | Lifestyle. Covering an area that’s only slightly smaller than Massachusetts, the Greater Houston area is a great place to call home. And because of its size, you can live in Houston for years and still have more to explore. If you already live in Houston but are tired of your current neighborhood, consider moving within to a new part of the city. 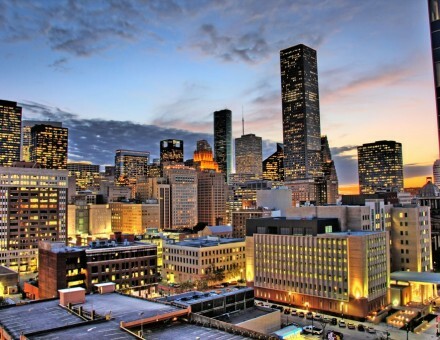 Discover three reasons to move within Houston below. Houston has a healthy job market, and the economy even held steady through the recession in 2008. Thousands of Houstonians work at one of the 26 Fortune 500 companies headquartered in the city. Thousands of others work at the world’s largest medical complex or for a major oil company. However, Houston also has a huge traffic load from commuters heading into or out of the city’s main business districts. Do you have a long, slow commute to and from work every day? Your drive could be costing you a lot. The average commuter loses 61 hours (2.5 days) to traffic jams every year. A typical driver wastes 29 gallons of gas annually in Houston traffic. Houston ranks 12th among the nation’s big cities in commuter stress. Many Houston-dwellers have accepted the traffic as a part of life in this diverse city, but you don’t have to. If you move closer to your office, you’ll cut your commute down and enjoy more free time and a smaller gas budget. And since Houston already boasts a super-low cost of living, you’ll be living it up in your new neighborhood, trying out nearby attractions and sampling tasty cuisines at local restaurants. The housing price bubble never really made it to the Houston metro area, so you can purchase a nice home for a very reasonable price, especially if you shop in the right neighborhoods. If you’re still renting, consider making the leap into home ownership while you live in this vibrant city. And if you already own but want to upgrade or downsize, you can also find the perfect property. Are you interested in being the first owner of a beautiful home? Try shopping Houston’s outer suburbs, particularly on the north side of the city. In areas such as Spring and Tomball, you’ll find homes selling below $200,000, and buyers looking for a house in the $300,000 range will have plenty of options. Are you drawn to the charm and character of older homes? Houston has plenty of neighborhoods with well-maintained houses that are several decades old. You can also find fixer-uppers perfect for customizing to your preferences with your own elbow grease. If you want an area with established homes, good schools, and reasonable housing prices, try Braeswood or the Third Ward. If you’re ready to live in a sprawling Southern mansion with large trees and huge yards, shop in River Oaks, Memorial, or The Heights. Perhaps what you love most about Houston is the adventure and entertainment found within (or just outside) the city. If so, you can move closer to these attractions and enjoy them more often. Sports fanatics have plenty to root for in Houston’s humid climate, so if you want to cheer on the home team in person, move closer to their world-class stadiums. A place downtown puts you close to Minute Maid Park, where the Astros hit home runs, and Toyota Center, where the Rockets make slam dunks. A house near the Medical Center lets you conveniently watch the Texans score touchdowns. Performing-arts lovers flock to Houston because it has resident opera, symphony orchestra, ballet, and theater companies, all based in downtown. If you want to be close to all the shows in town, buy a condo in the heart of the city or shop for houses between I-10 and Memorial Drive. Houston’s proximity to the Gulf of Mexico makes it a perfect home base for beach lovers. A short drive and you’re on Galveston Beach, soaking up the sun. An hour or two in the car will also put you at Lake Conroe or Sam Houston National Forest where you can spend time on the water or connect with the beauty of nature. If you frequent one of these hotspots, move closer to it so you can get there and back faster. Ready to Move to A Different Houston Neighborhood? Have you decided to make your move within Houston? Then start visiting new areas until you find the perfect Houston subsection for you. Once you’ve found the right part of the city, do some house hunting and secure yourself a new home base. With those steps complete, you’ll be ready to make your local move in Houston. Get in touch with the moving professionals at Wheaton World Wide so your move from one side of Houston to the other – or even just a few miles down the road – will go smoothly.